It’s been over a decade since the first single-stage benchtop Thermo Scientific Orbitrap mass analyzer was introduced: the Thermo Scientific Exactive Orbitrap mass spectrometer arrived on the scene back in 2008. Today, high-resolution accurate mass spectrometry (HRAM) using Orbitrap mass analyzer technology in combination with quadrupole (and for select instruments a linear ion trap) has become well-established for targeted, untargeted and quantitative analyses, with equal to or better performance than other types of instruments. Here, we take a brief look at the history of Orbitrap mass analyzer instruments and consider what makes them so well-suited to both routine and research applications. What are Orbitrap mass analyzers? Orbitrap mass analyzers are an extremely powerful ion trap instrument design that allows the system to act as both a mass analyzer and detector. Orbitrap mass analyzers consist of two outer electrodes that form a barrel-like enclosure, and a central spindle-like electrode, which traps ions entering the system in an orbital motion around the central electrode. Because ions of different mass and charge oscillate at different frequencies, they can be separated and analyzed depending on the needs of an experiment. By measuring the oscillation frequencies induced by ions on the outer electrodes, the mass spectra of the ions are acquired using image current detection. Orbitrap mass analyzer technology can be combined with both liquid and gas chromatography separation techniques for enhanced analytical power to address specific analytical challenges. 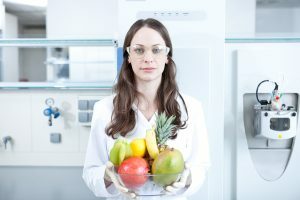 Undoubtedly, the biggest difference between Orbitrap mass analyzer instruments and other mass spectrometry techniques (such as Q-TOF) is the unparalleled mass resolution they offer. Orbitrap mass analyzers can generate high resolution measurements of up to 480,000 (FWHM) at m/z 200 (with the option of increasing this to up to 1,000,000 FWHM). This allows analysts to distinguish between analytes of interest and interfering ions over a wide mass range, including low molecular weight species. Thanks to the Orbitrap mass analyzer’s superior resolving capabilities, accurate mass assignment is easily achieved, routinely delivering sub-1-ppm mass accuracy and providing fine isotopic structure information – critical for confident analyte identification. Because most Orbitrap mass analyzer technology enables quantitative and qualitative analyses in a single platform, it has been increasingly used for a range of challenging applications that demand high selectivity and sensitivity. HRAM using Orbitrap mass analyzer technology provides confident confirmation and identification of residual small and large molecules, making it well-suited for routine targeted analyses. However, Orbitrap mass analyzer technology is also capable of generating full scan HRAM data during untargeted analysis, enabling easy identification of novel compounds and retrospective data analysis without the need to re-run samples. As such, Orbitrap mass analyzers are also ideal for applications where analysts need to detect the unexpected. Following the success of the original Exactive Orbitrap mass spectrometer, the next generation of Orbitrap mass analyzer instruments combined the exceptional mass accuracy and resolution of Orbitrap technology with the selectivity and sensitivity of quadrupole precursor ion selection. First in a series of several instruments, the Thermo Scientific Q Exactive hybrid quadrupole-Orbitrap mass spectrometer launched in 2011 and enabled more sensitive, selective and quantitative mass measurements to be made. Highly versatile and equally useful for untargeted and targeted screening, the instrument became the most sought-after benchtop high-resolution instrument for proteomics research analysis. Later, the Q Exactive mass spectrometer was also widely adopted for analytical laboratory applications involving both known and unknown analyte quantitation, including food safety, clinical research and forensic toxicology. 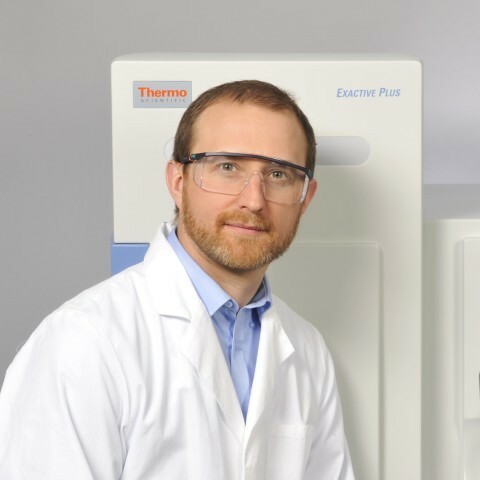 The latest hybrid quadrupole-Orbitrap system, the Thermo Scientific Q Exactive UHMR hybrid quadrupole-Orbitrap mass spectrometer, launched in 2018 and sets new standards in sensitivity, performance and productivity and offers the speed and coverage necessary to take proteomics to the next level. Orbitrap mass analyzer technology is redefining what’s possible in a wide range of fields, most notably in proteomics research, where it is delivering the reproducible identification of tens of thousands of unique peptides in minutes using data independent acquisition and by streamlining the top-down characterization of the proteome. In the next couple of blog posts, we’ll look in detail at the features that make Orbitrap mass analyzer technology so well suited to both routine and research analysis. Want to learn more about Orbitrap?